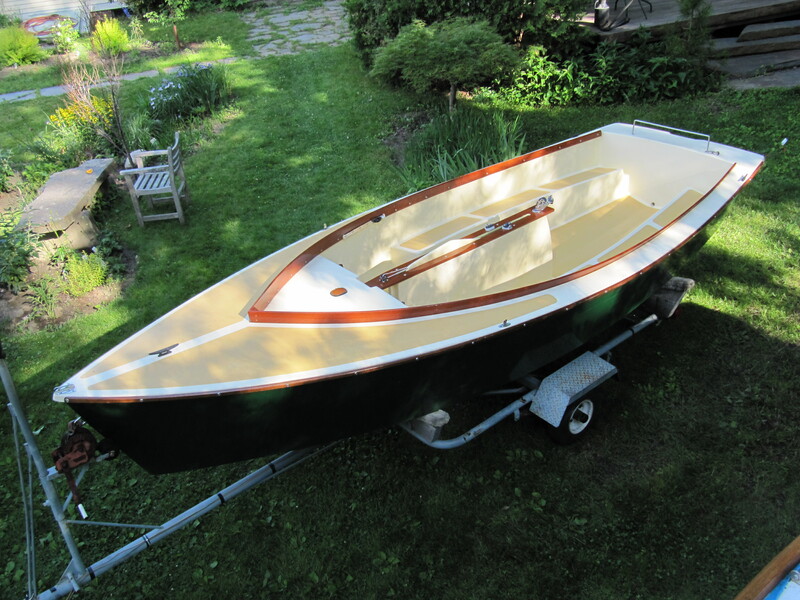 Classic Sailboat Shop in conjunction with Snediker Yacht Restoration just completed refinishing all paint and varnish on this beautiful Alerion. 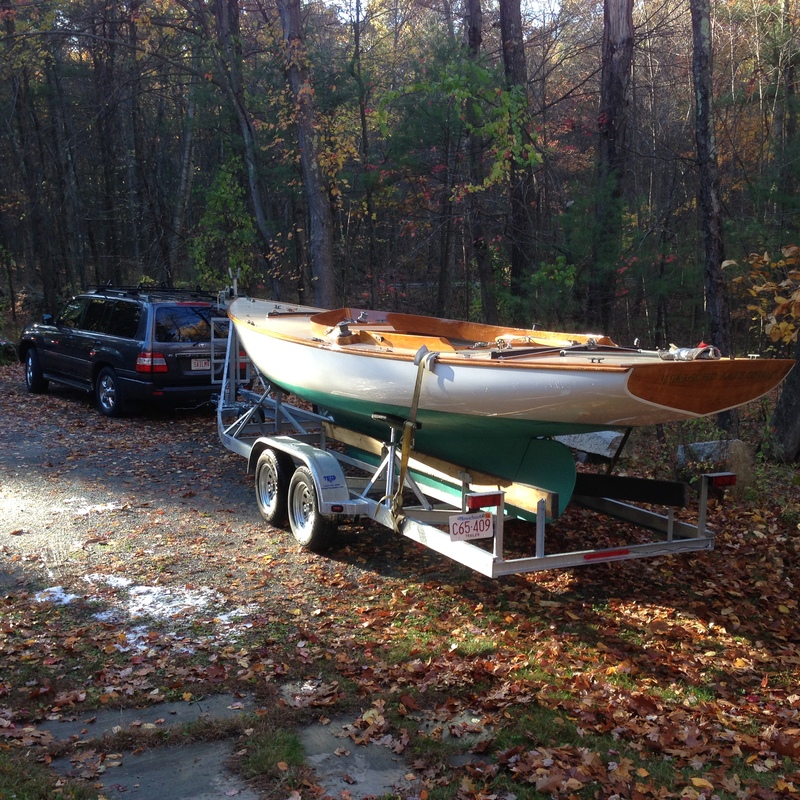 Ready to go, she is outfitted with a 1GM10 Yanmar Diesel. 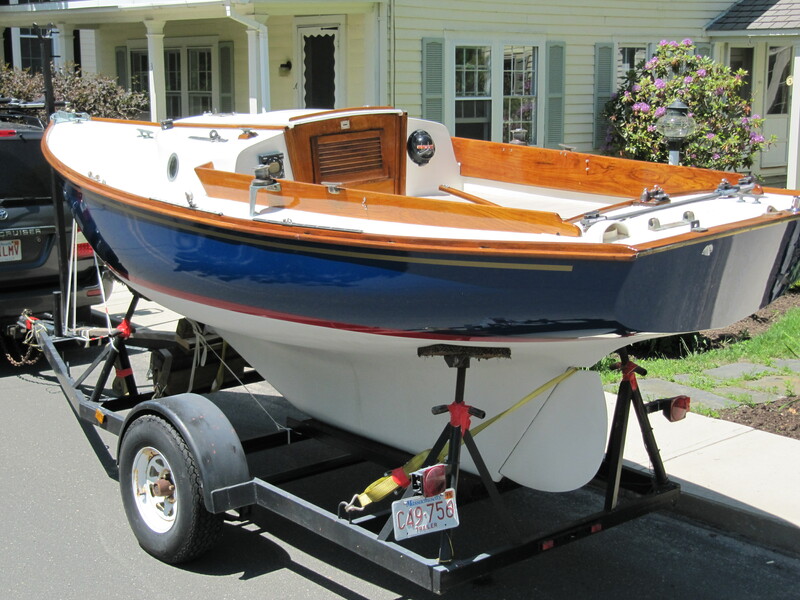 Beautiful 2003 Haven 12 ½ built by the Eric Dow Boat Shop of Brooklin Maine. Joel White produced this design visually identical to the Herreshoff 12 ½ but with a centerboard and increased beam so that she can poke around in more shallow water than can the original Herreshoff, all the while maintaining many of the other attributes of the original Herreshoff design. “DIANE” is in exceptional condition as she has only been sailed a handful of times and has spent most of her life indoors, unused. “DIANE” is constructed of cold molded mahogany. She is a gaff rigged boat with a club footed, self tending jib. All blocks are of bronze. 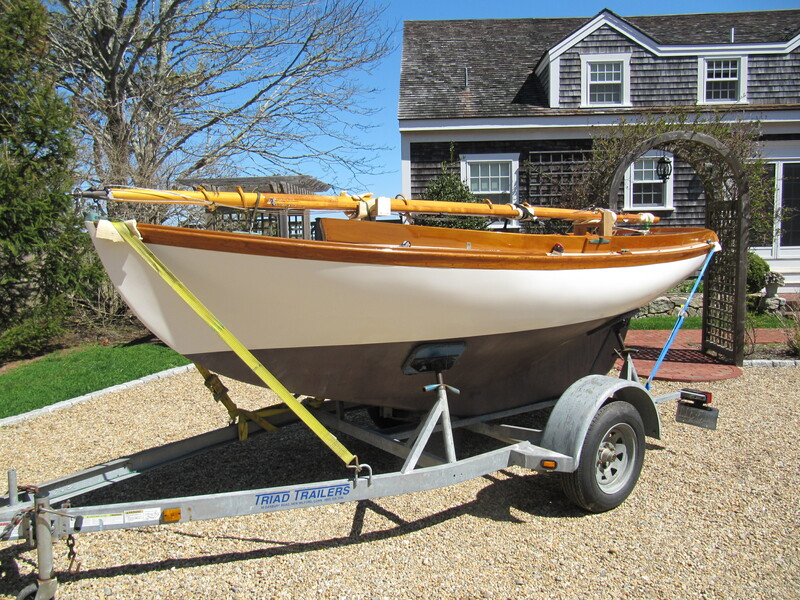 Coming from the drawing board of Nat Benjamin and built in Vineyard Haven by G&B in 2007, this beautiful rowing boat has spent most of it’s life, unused,and in covered storage at the Concordia Boat Yard. She was painted and varnished by the Concordia yard in 2015 and remains in superior like new condition. She is cedar planking on steam bent frames. Located in Western Massachusetts in the town of Williamsburg. SOLD… If you would like one just like it, we would be happy to restore another to your color specifications. 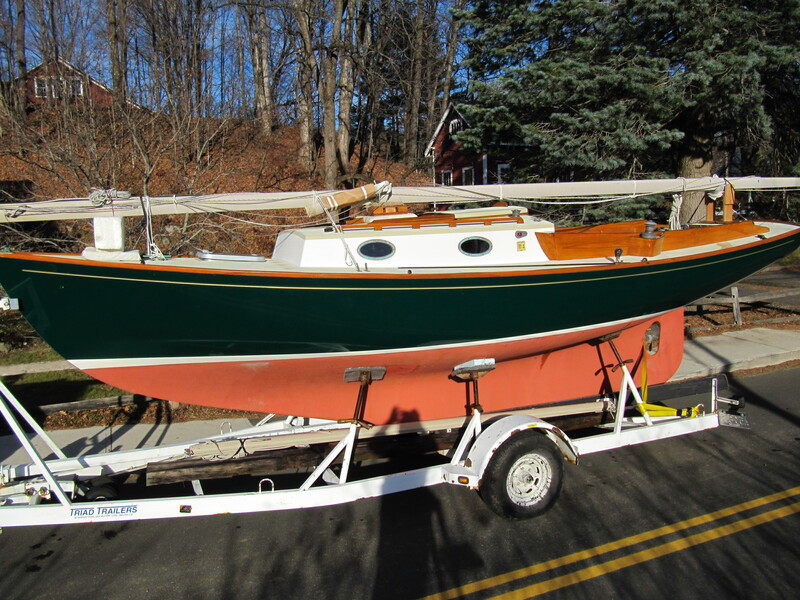 Exceptional 2007 Arey’s Pond 18’10” Daysailer. 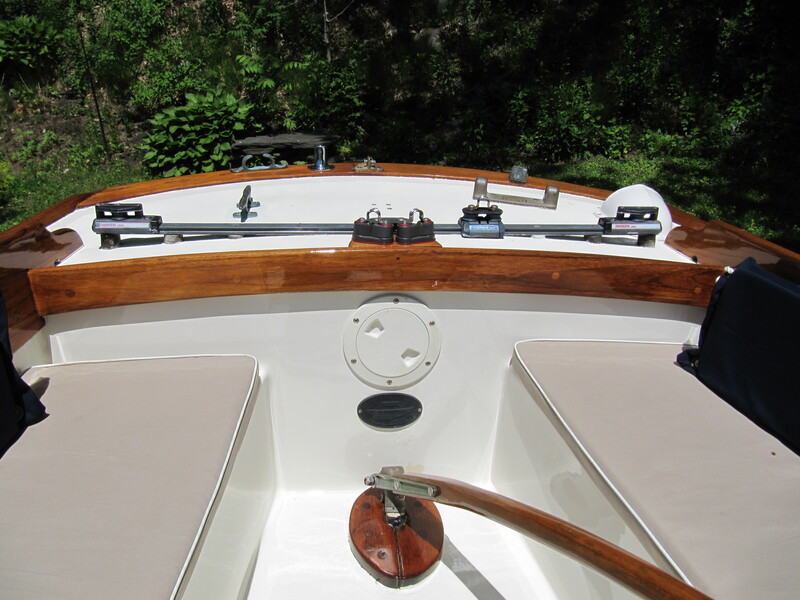 Teak Decks, Roller Furling Genoa, Harken blocks and gear through out. Carbon Fiber Mast as well as a second custom built clear spruce mast and spar. 2007 galvanized trailer custom fit. This boat has been kept unused in indoor storage for the past three seasons. 2003 GANNON & BENJAMIN 28′ “CELESTE” Asking $69,900. 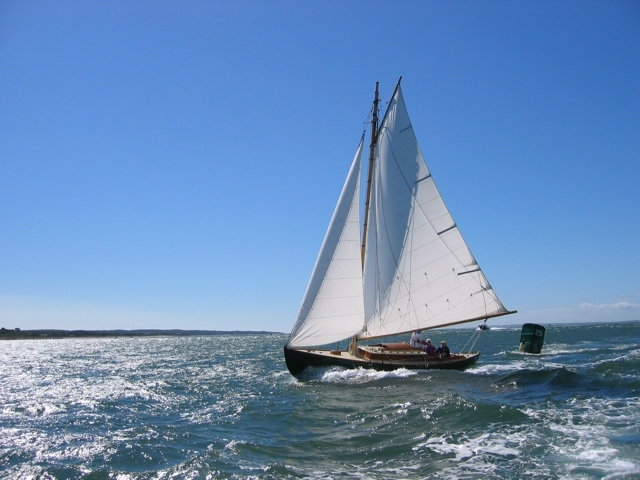 SOLD CELESTE has often been described as a magnificent piece of art from the drawing board of Nat Benjamin, built by the family of craftsmen and artists of Gannon & Benjamin Marine Railway company of Vineyard Haven. 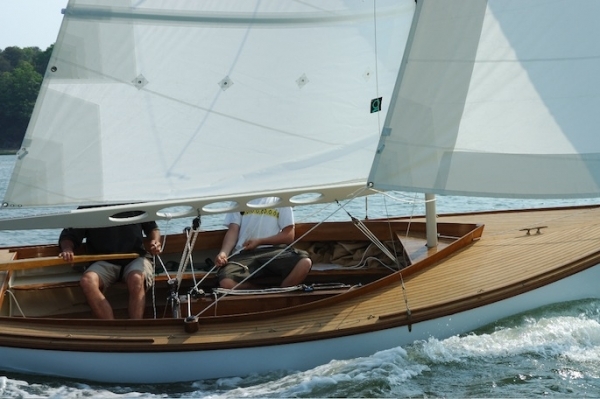 CALAMITY is a comfortable, easy family daysailer, well suited for teaching someone to sail, or for an expert interested in class racing as she is equipped with numerous hardware and sail upgrades. Built by Edey and Duff in 2004, CALAMITY has been a well cared one owner boat since launching. She has been owned by a most meticulous owner and is in excellent condition. She has been always stored indoors for the winter. Dimensions LOA: 15 ft 10 in, Beam: 5 ft 10 in, LWL: 12 ft 6 in Draft: 2 ft 6 in Displacement: 1500 lbs. Ballast: 735 lbs Along with new Harkin blocks, non-stretch rigging, CALAMITY has 4 quality sets of sails, main and jib, from Harding, Sperry, and Quantum as well as 2 spinnakers with pole and gear. The varnish is in very good condition and her bottom has been painted with Interlux Baltoplate Anti-Fouling Paint, for a racing finish. 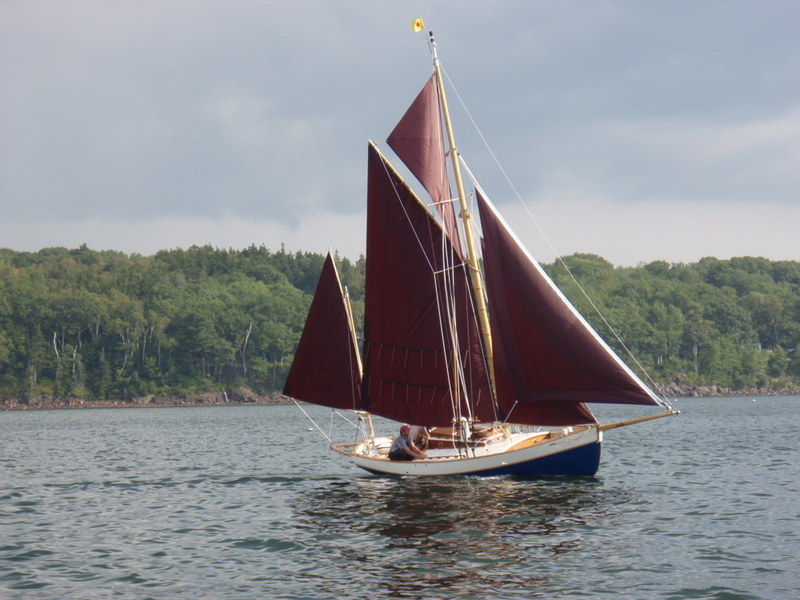 CALAMITY will be sold at the advertised price with her standard cruising sails (main and jib) and without the Triad Trailer. She is available with the Triad Trailer and her full complement of sails at additional cost. All rigging, blocks cleats etc. come with the boat ready to sail. 4 sets of sails: Main and Jib from Harding, Sperry, and Quantum as well as 2 spinnakers Larger main and jib sheet blocks to accommodate larger diameter lines. Scheafer main sheet cam cleat, large mast mounted card compass “Quissett” spinnaker sheet blocks, Masthead wind indicator, Non-stretch halyards, Custom outhaul Aluminum spinnaker pole, Wooden spinnaker pole, Custom hand carved name boards “CALAMITY”, Varnish oar and bronze oar lock Should you wish to inspect CALAMITY she is currently stored at Ballentines Boat Shop Cataumet, Massachusetts Feel free to call 413-335-6402 or email tim.classicsailboatshop@gmail.com CALAMITY is a fabulous little yacht. 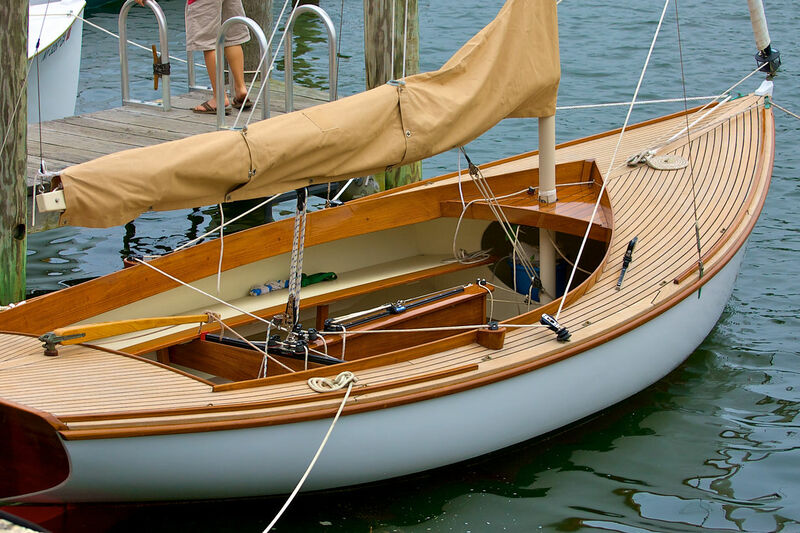 The Doughdish is a fiberglass reproduction of the original Herreshoff 12 1/2 footer, constructed in foam sandwich fiberglass with teak trim. 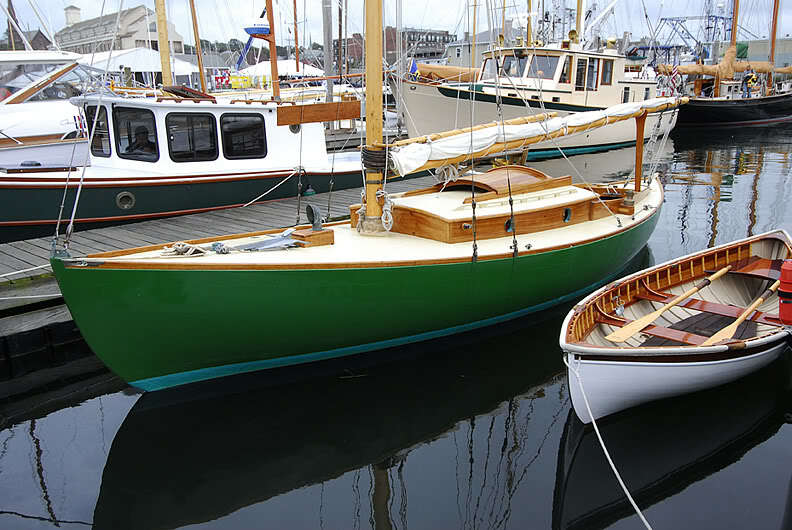 It is built to the exact hull dimensions and rig of the sloops designed by N. G. Herreshoff in 1914.